The email address of the currently selected user is shown here. Access to each Exchange element is denoted with this symbol. Opens a dialog where a user can be added. 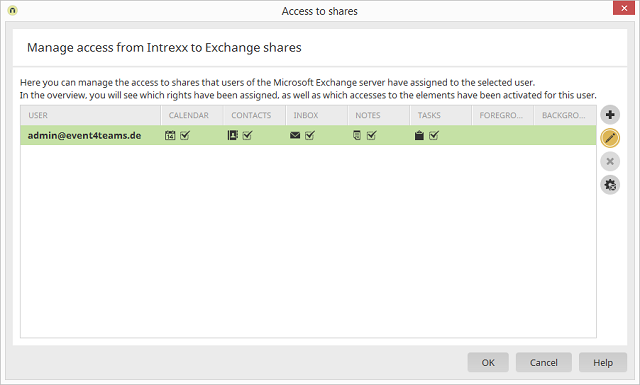 The current user can, provided the shares exist in Exchange, then access their Exchange elements. Opens a dialog where the access of the currently selected user can be edited. Removes all access for the currently selected user. This function is only available if the selected user has access to elements from other users. Removes all access to elements from other users.